When I first started watching Burnley in 1960 the team was usually made up of the same eleven players, week in week out, unless one of them was unavailable through injury or an international call. The outside-left in that team was Brian Pilkington, and a fine player he was too. But after scoring twice in the European Cup quarter-final 1st leg against Hamburg in January 1961he was soon to say his farewell to Turf Moor and a month later was sold to Bolton Wanderers, a decision that the player was far from happy with. That gave an opportunity for Gordon 'Bomber' Harris to move into the first team, and how he took it. Harris had been spotted playing for Firbeck Colliery in his native Nottinghamshire and was invited to Turf Moor for a trial at the age of 17. He did well and was taken on, being given his first professional contract in January 1958. It was just a year later when he got his first team debut, deputising for Pilkington in a First Division game against Leeds. He scored too, in a 3-1 win. It wasn't the start of a run in the first team for him. He played just once more that season and in the following season, as Burnley lifted the league title, there were again just two appearances. He'd played a few games during the next season, but once Pilkington left it was Harris who stepped into his shoes, and the number 11 shirt, on a regular basis. Within weeks he'd scored in the return against Hamburg and played in the FA Cup semi-final against Spurs. A week before those two games he was the only first team player in the team that drew 4-4 with Chelsea as manager Harry Potts rested his players ahead of the big cup games. He was a completely different player to Pilkington. He was a strong player, and quick, who eventually became a vital member of the side in what would now be considered a central midfield role. On the left wing he was able to get past defenders with ease and was a very good crosser of the ball. When drifting inside he had the most ferocious of left foot shots that earned him more than his fair share of goals. Harris was the regular left winger in the Burnley side of 1961/62 that came close to winning the double. It was his first full season in the team and it was he who centred the ball for Jimmy Robson to score in the final at Wembley. His form was spotted by the England selectors and despite only having been in the first team for just a few months he was called up to play for the Football League to play the Irish League in Belfast. That game was in November 1961 and he scored in a 6-1 win. Just a week later he made an England Under-23 debut against Israel. Again he was on the winning side, this time the score was 7-1, in a game played at Elland Road, Leeds. It was the emergence of Ralph Coates that allowed Harris to move into a central role. Coates initially played as a centre-forward but once he'd moved to the left, Harris was to partner Brian O'Neil in the centre, and he went from strength to strength. The two of them provided us with a tough, hard centre during the 1965/66 season as we came close to emulating the championship side of six years earlier. The two of them were in such good form that both grabbed the attention of the England manager Alf Ramsey in World Cup year. 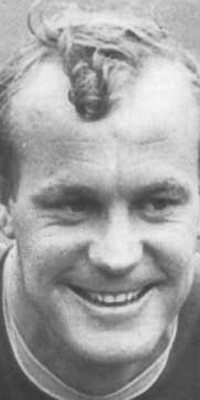 O'Neil played in the under-23 side but Harris got a call up to the full England side and made his international bow in January 1966 in a 1-1 draw against Poland at Everton's Goodison Park, later that year to be a World Cup venue. He played well and was in the initial World Cup squad of 40, but missed out on the 22 selected for the tournament. It was hard to believe, but that game at Everton proved to be his only game for England. A year later he was appointed club captain following the sale of Alex Elder to Stoke, but it was to be a short lived period as skipper. Harris was known as a hard man both on and off the field. He was involved in a few scrapes off it with rumours often leaking out of bust ups with team mates during training. In December 1967 he was dropped and disciplined by the club after an off the field incident. He came back and played one more game against Everton but in January 1968 was sold to Sunderland in a £70,000 transfer. He was under pressure immediately at Roker Park having been signed to replace Jim Baxter, but he did well for them and went on to play over 120 games before retiring from the professional game in 1972. For a while he remained in the North East of England and played non-league football for South Shields before returning home to Nottinghamshire where he once again worked in the coal industry, this time as a driver. Gordon Harris was a real favourite of mine during that period in the 1960s and I think those who recall him will always make reference to his powerful shooting. There was so much more to his game and he'd proved himself equally adept both on the wing and in the centre. He played in a Burnley team that had just won the Football League and went on to become a vital member of the side six years later, a side that for me was every bit as good as the one that lifted the title. I'm not so sure how he would have adapted to today's game but he would have had to adapt or he'd have missed a few games each season through suspension. He was quick to flare up and many a referee had problems in dealing with him. Bomber suffered with ill health for a few years but thankfully recovered. I don't think he's been back to Turf Moor in a long, long time, but if he did he would be guaranteed a warm reception by those supporters who saw him play in claret and blue. Gordon Harris sadly passed away on Monday 10th February 2014 after a short battle with cancer.